Good news. 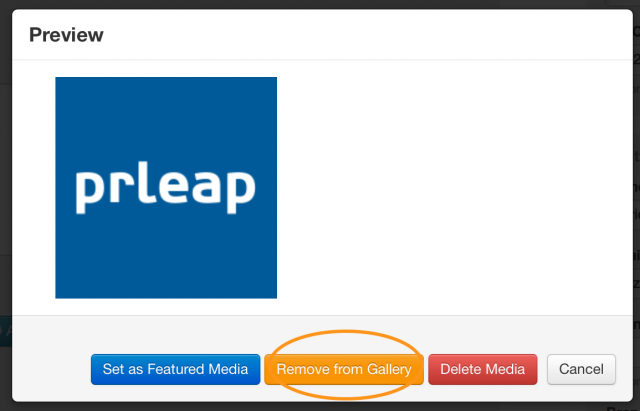 We made a handful of improvements to PRLeap’s media features designed to save you time. First, you now have access to all the photos in your Media Library. 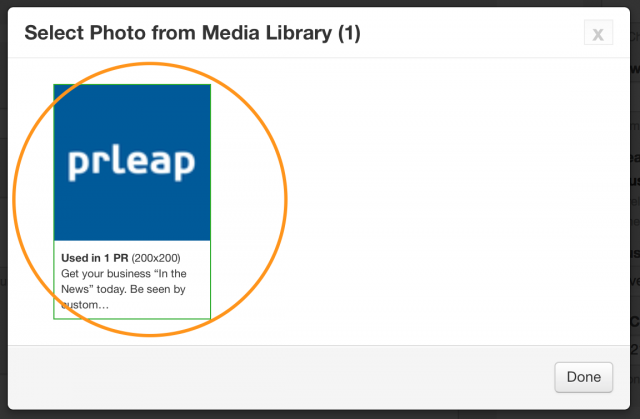 Gone are the days of having to upload an image like your company logo more than once to PRLeap. You can access your Media Library from the Press Release Builder. Click the Select Photo?button to open your Media Library. Click on the image you want to display and it will automatically be added to the Media Gallery. Second, we made it easier to remove photos from a Media Gallery without deleting them from your Media Library. If you want to remove a photo from the Media Gallery, click on the thumbnail and then click the Remove from Gallery button. The image will be immediately removed from the Media Gallery, but will remain available in the Media Library for future use. Also it will not affect any other press releases in your account where the photo is currently in use. And last but definitely not least, we crushed one annoying bug related to uploading photos that showed up when the caption was missing.